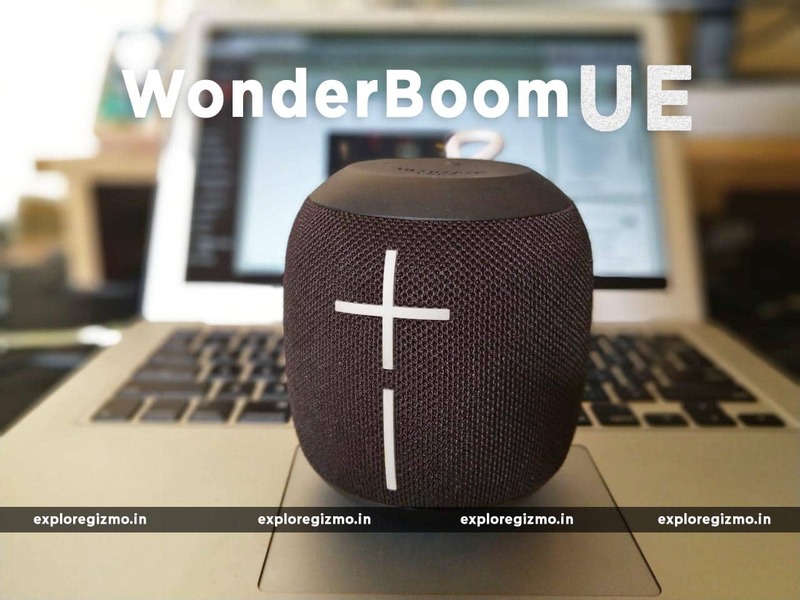 I bought Wonderboom ultimate ears portable speaker in Amazon Great Indian Sale, the bargaining deal and super fast delivery by the Amazon, love it. Here is my honest review was written below, after using it a few days I realize what this speaker is good for. Since, last three years, I have been using the cheap Bluetooth speaker for my laptop which is not having bass and treble, and it only fulfills your desire. After many research, I have finally bought this portable speaker from Wonderboom aka Logitech. I didn’t know that Ultimate wonderboom is made by Logitech when I receive the speaker, it is written in the box, and also Logitech has the community to get support for this speaker. Logitech is the well-known brand, and I am still using the Logitech products like Mouse and keyboard. Box looks like the jewelry box when we opened it, the feeling is same. Features – The big Plus(+) and Minus(-) icons are for volume up and down, and it is very flexible to use. Control the play/pause/skip button by tapping on the head of the speaker. The small USB cable comes for charging purpose, but you could use the mobile charging cable to charge it if you are looking for the long cable. It comes with the Hang loop, so, you can hang the speaker and enjoy the 360 degrees sound. Design – Portable and compact design which you can carry it while you are traveling, recently I had done the same when I traveled to the different city(Bhopal), the weight of the speaker is around less than 450gm. I have bought the black color, but there are also available in different colors, however, use some thin paper to avoid dust stick on the speaker which looks awful. Sound – The masterpiece comes with the boom Bass which gives the 360 degrees sound, no matter how I put the speaker, I could hear the sound very clear and loud. My house is a 3 BHK with the 1200 sq ft, so, even If I increase the volume to 70%, we could easily hear the sound. The bass is awesome, and this is what I like the most. In the recent Shaadi ceremony, I used this portable speaker in the large hall, damn it gives the echoes around the hall, what an experience. Connectivity – As I have written, I am living in a 3 BHK house, it would be easily connected the speaker without having the problem, the only problem I found is sometimes the Bluetooth connectivity disconnected in the long range, sometimes the speaker stopped for 2-3 seconds, maybe the connection interrupted, this is normal. The pairing takes 5-10 seconds, most of the times in 2 seconds we could connect to the mobile, laptop or another UE speaker. Durability – One of the main point of my feedback. I accidentally dropped my speaker from the computer table, it was the heartbreak moment, but it successfully passed the drop test from my side as they have written the same on the features, regarding the waterproof, I did not test it. Battery – If I use it continuously, as I always use, then it might only work till 8-9 hours, as the company claimed about 10 hours, this is only possible when you stop listening to the music for sometimes and put in the idle mode. Charging time takes 2-3 hours, once it charges it automatically disconnect the blinking icon(charging). It auto turned off the power in 15 minutes in idle mode to avoid battery consumption, and this is what I like in Bluetooth devices. Warranty – It comes with the Two-year warranty and all I can say, when it comes to the Logitech warranty, I give them 5/5 stars. Pricing – The price which I have bought this speaker at Rs4,500/- All I can say, this is the budget portable bass speaker which gives an amazing sound with waterproof and drop test proof and the two years warranty by Logitech. In case the speaker does not connect to any devices or not showing in the mobile, laptop, then do the hard reset the speaker. All you need to do, turn on the speaker, hold volume down button and power button together until you hear a beep, after then it will auto turn off the speaker. Now, connect the speaker with the devices, this should works as I faced the similar problem and I did the same steps to rectify the problem. No battery level indicator, this is impossible to know how much battery left before we do charging or how much charging left. No power cord is provided, have to charge it every time. Only, I found these two above cons, rest are in pros. One TIP, you should use the equalizer app to see more customization in sound and feel some great experience while using this speaker. It becomes one of my daily gadget which I almost used everytime and everywhere.